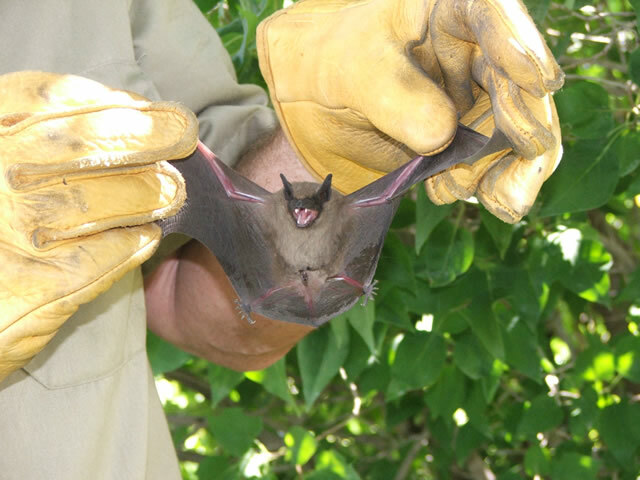 It’s no surprise to Weber County, Utah residents that bats live in the area. They are often to be seen in the night sky, flitting around silently, changing directions quickly as they chase after their meals. Bats in Weber County do their best to keep the mosquito population down as well as preying on all different kinds of bugs, flying or not. They’ve even been known to carry off crickets, centipedes and other large bugs. At most recent counts, Utah has eighteen species of bats, and Weber County bats do their best to keep the county from being overrun with bugs. Usually bats will roost in places such as caves, mines, rotting logs, but often bats discover warmer, more convenient places in which to roost or even nest. Breeding season is coming up, for most bat species, and that’s the spring. They’ll happily roost or breed in attics, chimneys, abandoned buildings, inside building walls, behind shutters, under eaves, and anywhere else that provides a relatively protected environment close to food sources. You may not even know you have a bat or a colony of bats living inside your home or apartment until one makes its way inside your living room or bedroom or kitchen. Do Weber County bats carry rabies? Usually, no, but the chances are high enough that you absolutely should NEVER touch a bat. If it bites a person or animal, seek medical attention immediately. Keep your animals up to date on their rabies shots. People who handle bats may not even realize the bat’s tiny claws have scratched them, so always seek medical attention if you have come into contact with a bat. 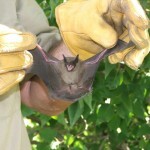 And, if you come across an active bat during the day time, it may be sick or diseased. Keep children and pets away from it. Discovering a bat or a colony of bats in your house or other buildings will come as a shock. You may have a very clean house with a well-kept yard, and yet still have a bat problem. The safest course of action is to contact us to send a professional to your home to remove the bat or bats. Trying to remove a bat yourself may result in being scratched or bitten by it as it will be terrified and try to get away or defend itself. Bats are protected under the law, as well, especially a nesting colony of bats, and our professionals know exactly how to handle the situation legally and safely. A professional will also be able to safely clean the bat droppings from your building and even install materials to prevent bats from returning to your building. It’s fun and interesting to watch Weber County bats flying around at night, but make sure it’s at a distance. Up close and personal bat encounters can result in a trip to the emergency room. And, if you discover one or more bats in your building, contact us to remove the bats and keep you and yours safe.